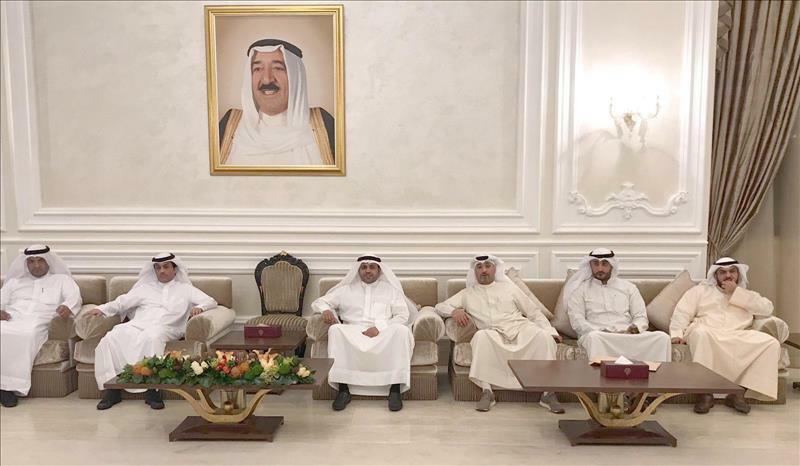 (MENAFN - Kuwait News Agency (KUNA)) KUWAIT, Nov 2 (KUNA) -- His Highness the Amir Sheikh Sabah Al-Ahmad Al-Jaber Al-Sabah's Representative, Minister of Information Mohammad Al-Jabri said on Friday that Kuwait was keen to take part in the 2018 World Youth Forum. Al-Jabri, also doubles as Minister of State for Youth Affairs, made the statement to KUNA prior to his departure to Egypt's resort of Sharm El-Sheikh where the forum will be held on November 3-6. Al-Jabri, accompanied by a delegation, said that the event is considered a platform, which contributes to promoting dialogue between different civilizations, cultures. Al-Jabri said it was an honor to him to convey His Highness the Amir's greetings to Egypt's President Abdelfatah Al-Sisi and the Egyptian people. His Highness the Amir wished Egypt everlasting progress and prosperity, the minister stressed. Kuwait has paid much attention and was eager to respond to President Al-Sisi's invitation to partake in the event, which contributes to cementing common principles of coexistence, he noted. He referred to progress made in youth development indicator, thanks to unlimited backing of the political leadership to youth. Al-Jabri also pointed to the depth of strategic and historical partnership between Kuwait and Egypt in all domains.